So, I decided to attend a bible study this Fall. This may come as a bit of a surprise, as I've shared my (continuing) struggles with the bible and Christianity. Going simultaneously makes me feel a bit out of place and completely uncomfortable, yet familiar and safe. It's a very strange emotion. 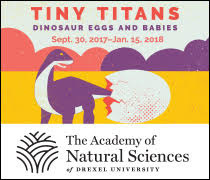 I'll be honest: I'm not really sure why I'm going. My struggles have not changed. I would still struggle to identify myself as a "Christian." But something in me won't let me not, either. I still have my questions. And sometimes the best thing you can do when you are burdened with thoughts and questions is to SEEK. Seek answers, seek truth, seek understanding. I'm not sure what I will gain from this experience. Will it lead me only to a deeper place of frustration? Will it enlighten me to a new way of understanding? Only time will tell. But I will go and see what is there for me. Why am I sharing this? It's part of my life, my journey. And during the opening session this morning, the speaker shared this native-american folktale that really struck me. I've actually been thinking about it all morning, so I wanted to share it with you. So maybe we can discuss our thoughts on it. An old Cherokee Chief was speaking with a young boy. He told the boy, "There is a fight going on within you." The boy's eyes grew wide as the Chief continued to speak. "There are two wolves that live inside all of us: A Light Wolf and a Dark Wolf. And there is a terrible fight that goes on between them. The Dark Wolf is full of hate, greed, selfishness and lies. The Light Wolf is marked by peace, love, compassion and joy. And in you they fight." The boy looked with great anticipation at the Chief. "Who will win?" The boy asked. "Whichever one you feed," he replied. It has been on my mind all morning. Because this story speaks to all of us, religious or not. 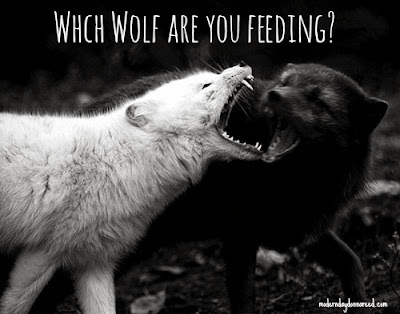 I've been asking myself, "Which wolf do I feed on a daily basis? Which one is winning in my life?" Does my life exude love and kindness? Compassion and joy? Or do people see the Dark Wolf reflected in the way I live: greed, selfishness, resentment and arrogance? Which one is winning out?